We teach you how to set up a home gym without much space…or money! There are 101 excuses for failing to make it to the gym after a long day at work. So instead of bringing your bum to the gym, why not bring the gym to your bum? Raise your hands (and don’t break anything) if you’re paying for a gym membership you don’t use. 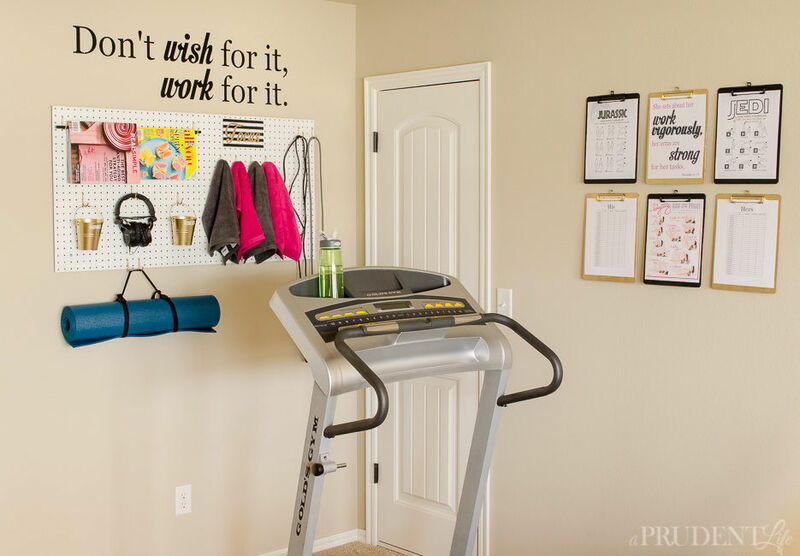 Might as well invest that money into something better – like a home gym. 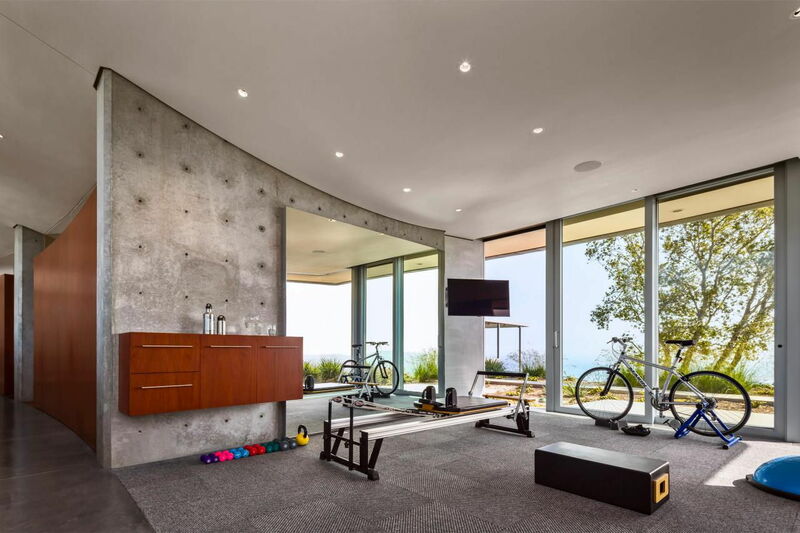 An effective and stress-relieving workout space doesn’t need to cost a pretty penny. There are budget- and space-effective ways to exercise at home, whether you’re aiming for weight loss, strength training, body toning, or others. Let get stepping. Notice how we didn’t say room? If you don’t have a spare bedroom, identify a quiet, spacious, bright, and airy corner or space. It can be the living room itself, a corner in the study room, or even the patio. If you live in a one-bedroom or studio apartment, the living room is a good place to convert into an exercise space when you need it. To make the room more “convertible”, keep the centre of the space mostly free, so you won’t have many furniture to move around. Park the coffee table to the side, roll out your exercise mat, play some instrumental music, and you’ve got your own yoga studio. Choose a space you generally enjoy instead of an area you don’t have positive feelings for (like the area near the toilet) or one with considerable foot traffic. Avoid the bedroom though, as that should remain as your sanctuary for rest. Determine what your needs are – is it general fitness, weight loss, body building, strength training, speed training, or even just stress relief? Based on your fitness goals, do your homework on exercise regimes to reach them. For example, weight loss requires a combo of cardio and weight training. Once you know what your fitness regimes are, it’s time to consider equipment and tool purchase. Avoid jumping to expensive conclusions like treadmills and bicycles. There are many other ways to do cardio exercises, like jumping rope, step-ups, jumping jacks, lunges, and more. Instead of jumping in head first, invest in basic items like an exercise mat, a yoga ball, and a pair of weights. 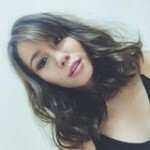 Then, try out different workouts (watch video tutorials!) with items. Only add on to your collection when you feel like your exercise is lacking. Some space and budget friendly exercise items include resistance bands, kettlebells, and pull-up bars. Now that you’ve identified the space and attained your equipment, it’s time to make yourself at home! If you don’t have a vacant space with lots of natural light, then maximise whatever you have by opening your blinds or only using sheer curtains. Where natural light falls short, add on ceiling or wall lights with soft, white illumination. 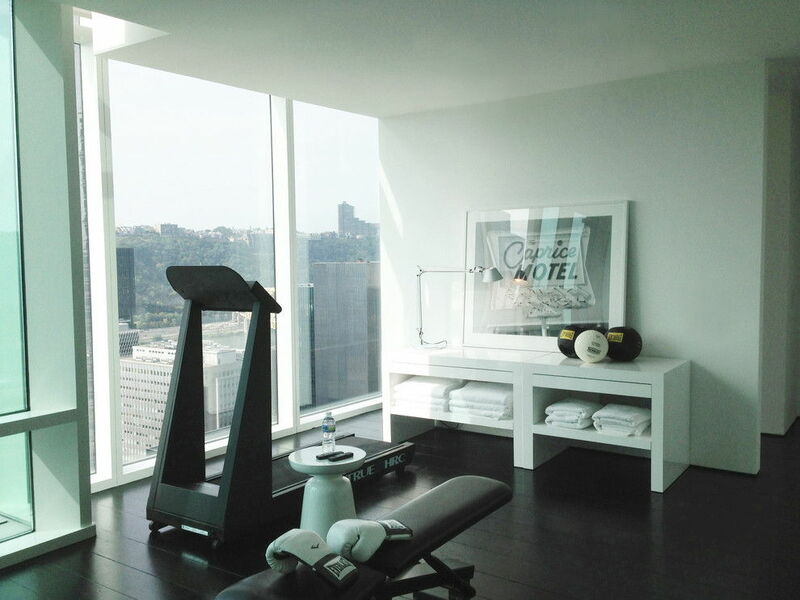 Avoiding stand or table lamps to leave more floor space for your workouts. Next, make sure the space has plenty of ventilation. So open your windows, switch on the fan, or purchase a small fan for the area. Otherwise, remember what we said? Take it to the patio! A whiff of fresh air can really boost your mood and workout stamina. You might want to add a dedicated TV or music system to the space. Music keeps you going, while watching your favourite TV character’s rollercoaster romance can keep you entertained during your squats. If your motivation is mostly internal, then consider painting the room in your favourite colours, or the colours of your favourite sports team! While you’re at it, add motivational posters or pictures. The space has to be somewhere you enjoy spending time in to eliminate all potential excuses for not clocking gym time. One must-have for your wall? A mirror, or two. Watching yourself workout means being able to keep an eye on your form, preventing injuries. 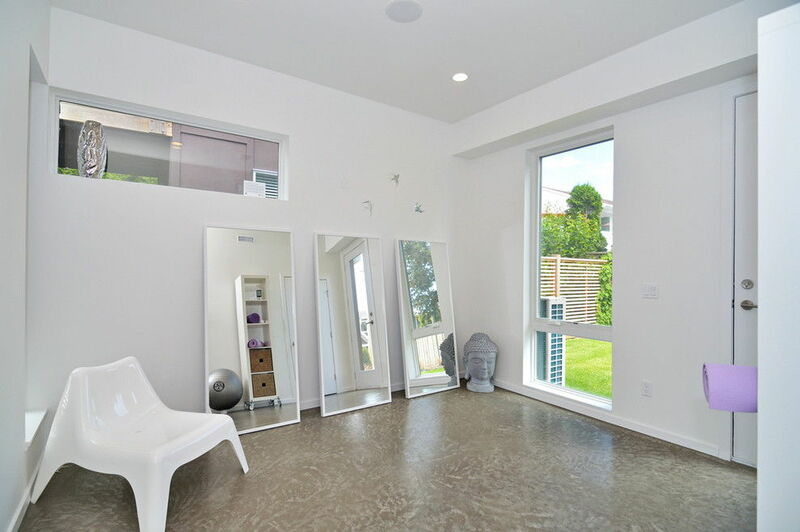 Mimic studio mirrors by mounting one or a few floor length mirrors. As for floors, use rubber or foam flooring in a dedicated gym room. 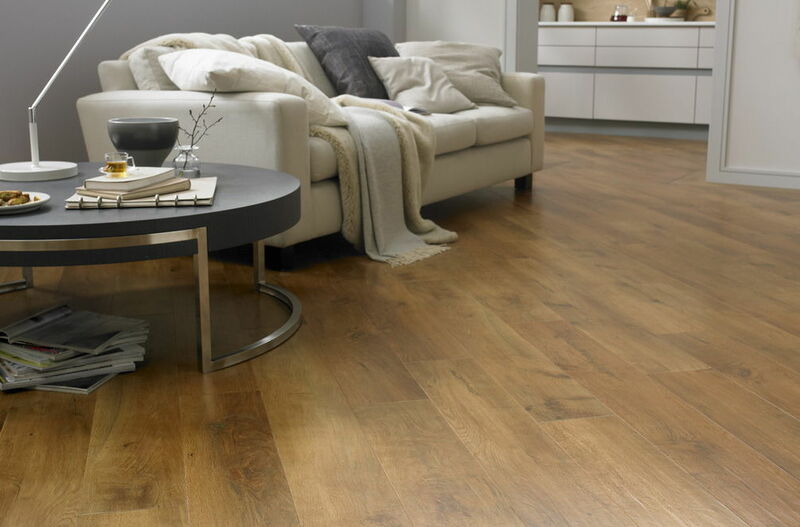 If you’re sharing a space with the living area (where aesthetics count), consider re-flooring to vinyl tiles. These are better looking than rubber flooring and are scratch-resistant, unlike certain hardwood floors. 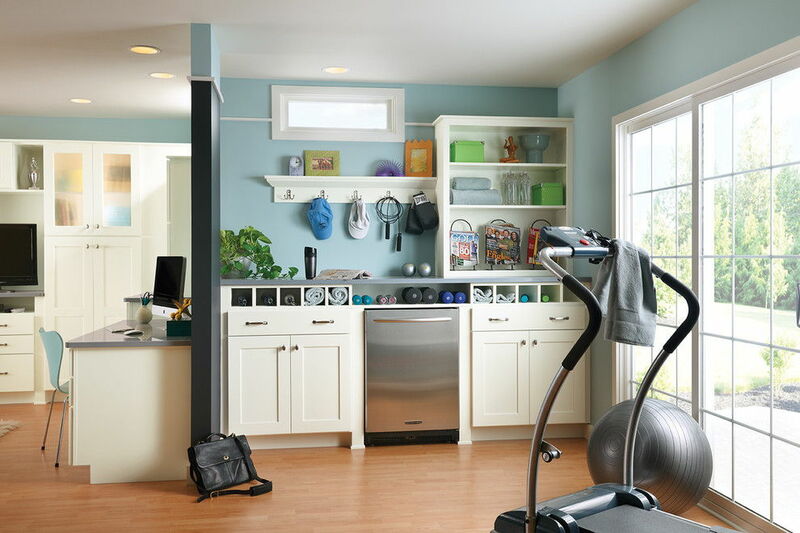 Since setting up a workout space at home is all about convenience, dedicating storage to unused exercise items is important, especially for multipurpose spaces. 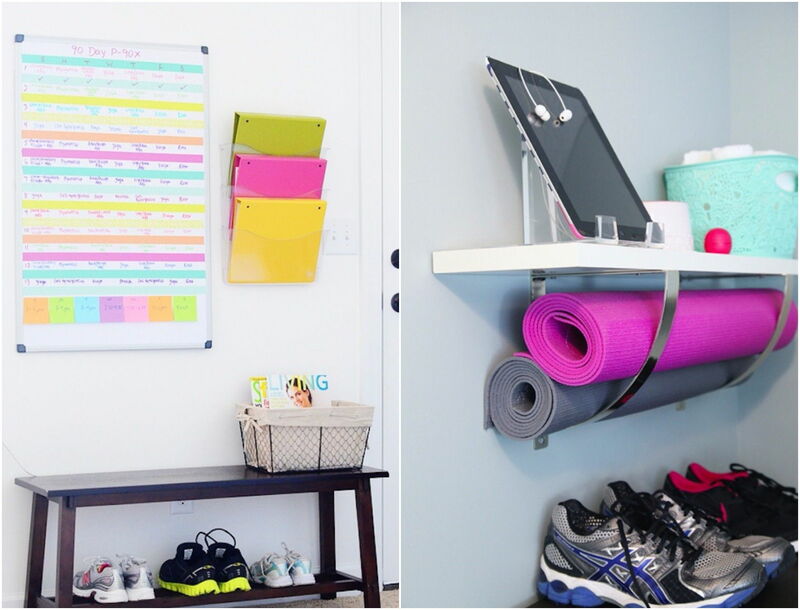 Use wall racks, benches, and bins for your music player, shoes, towels, exercise mats, and more.